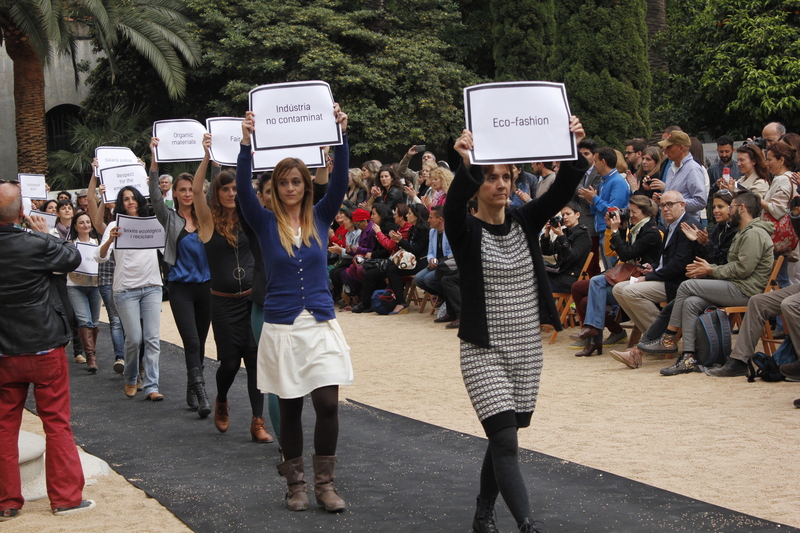 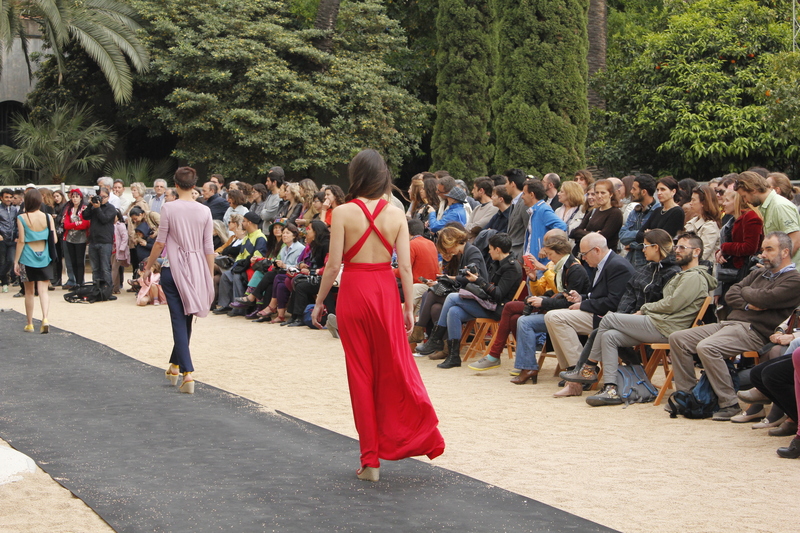 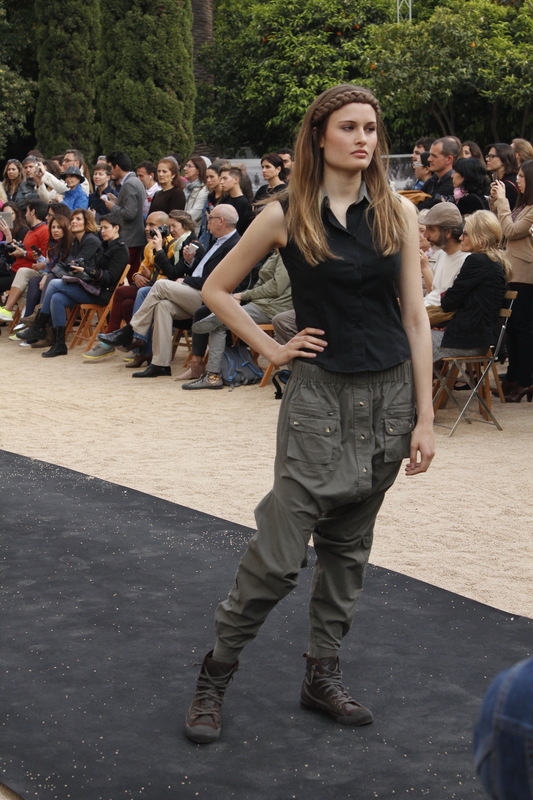 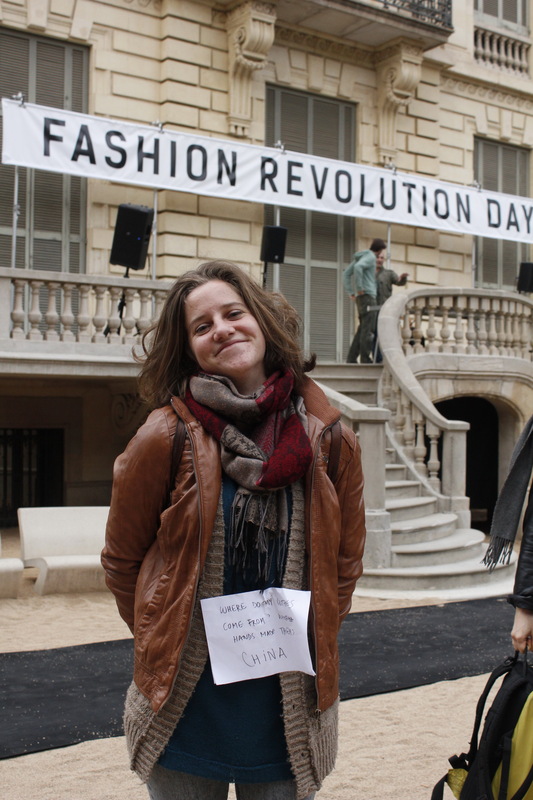 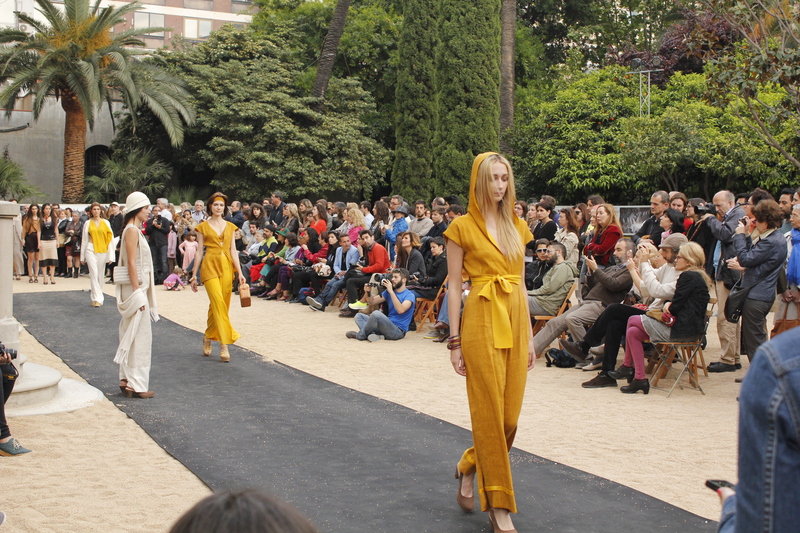 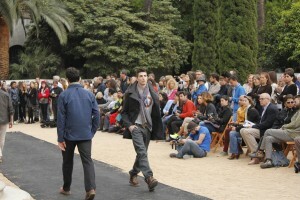 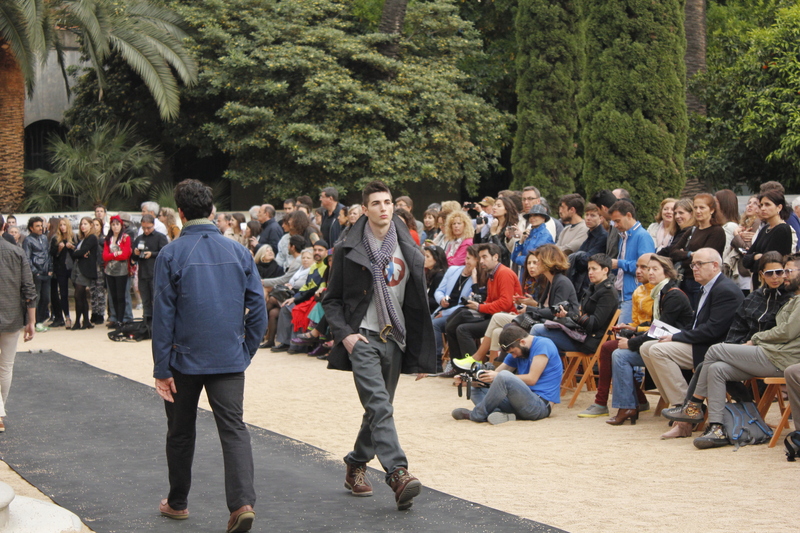 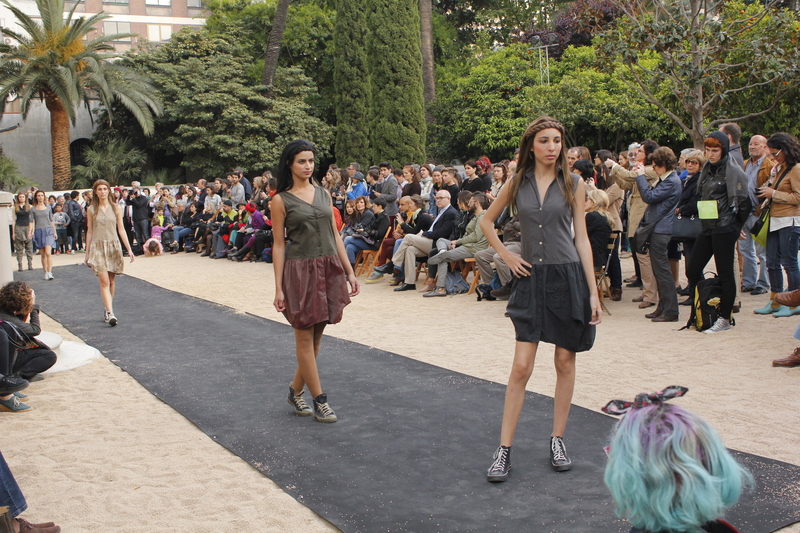 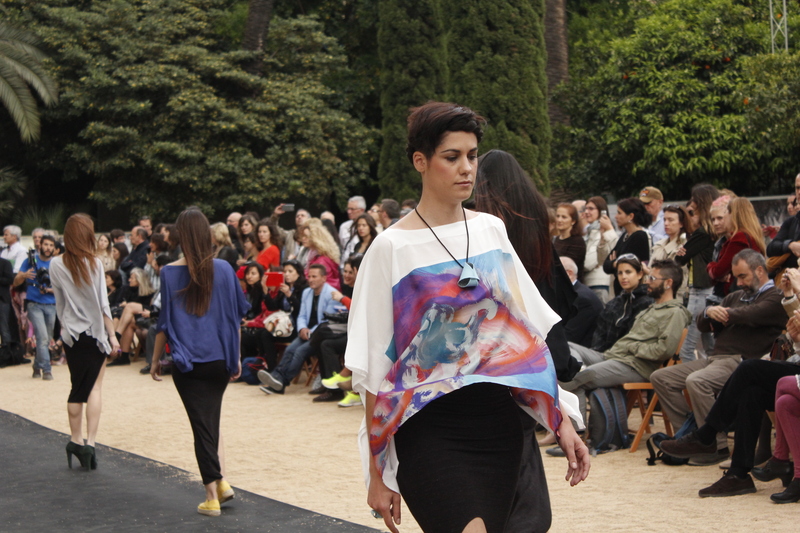 enjoy my impressions of the sustainable clothes catwalk in Barcelona, Palau Robert! There was also the idea to wear one’s clothes inside-out to make the hangtags and labels visible. 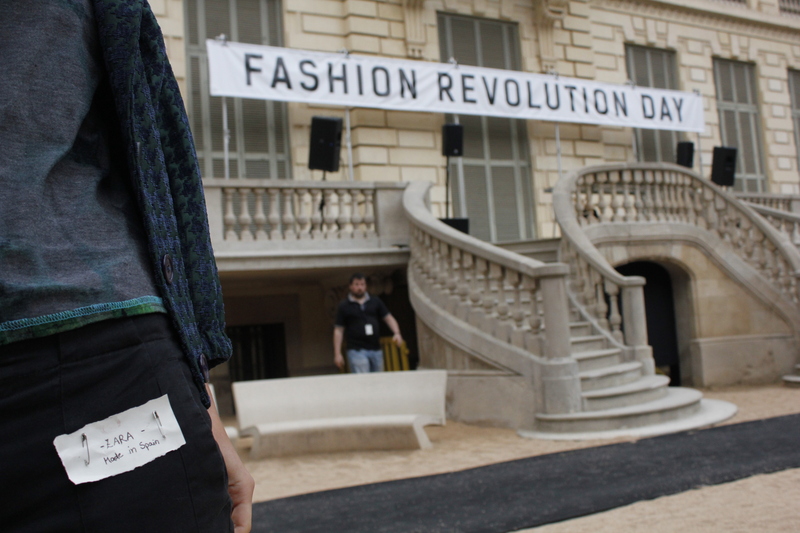 I was surprised that actually nobody really did it, rather than being dressed up and looking superfine for the fashion catwalk…..
At least my friend and I put some tags on our clothes and explained where these pieces were made…yeah! 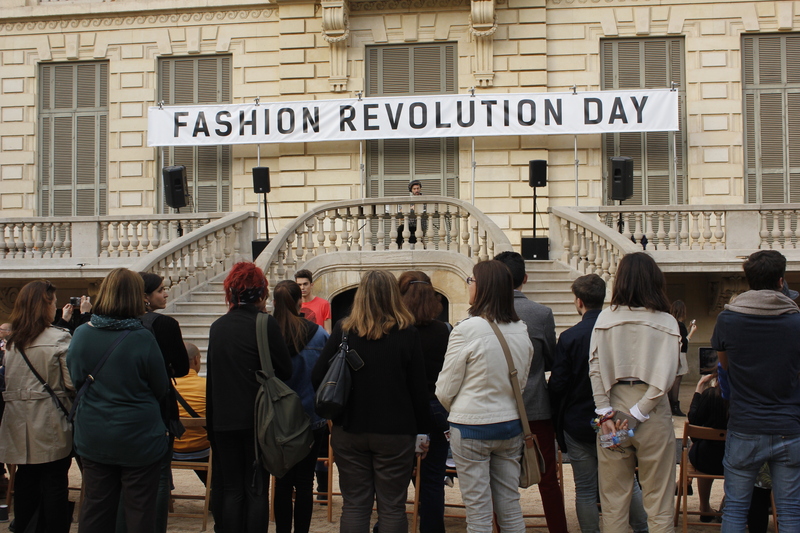 Also for the next event we suggest to have time for a chat with designers and organisators to get better informed and to faciliate an interchange of ideas. 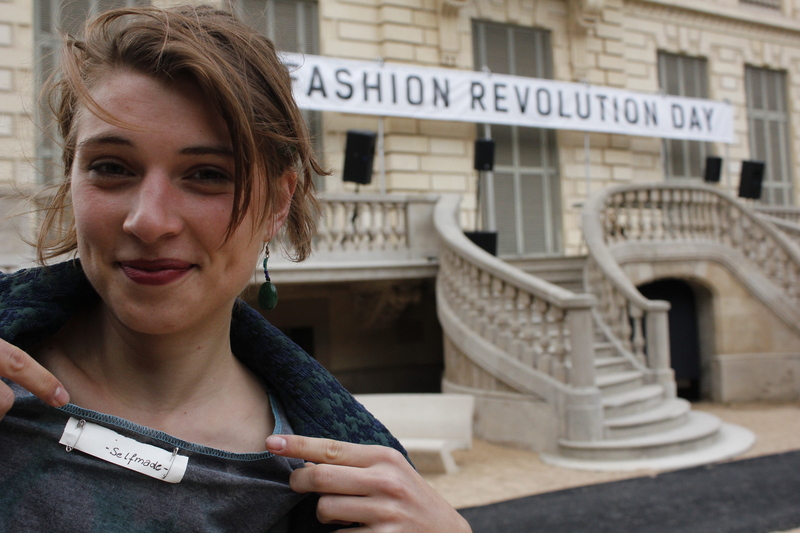 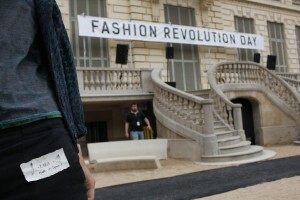 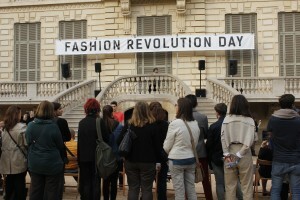 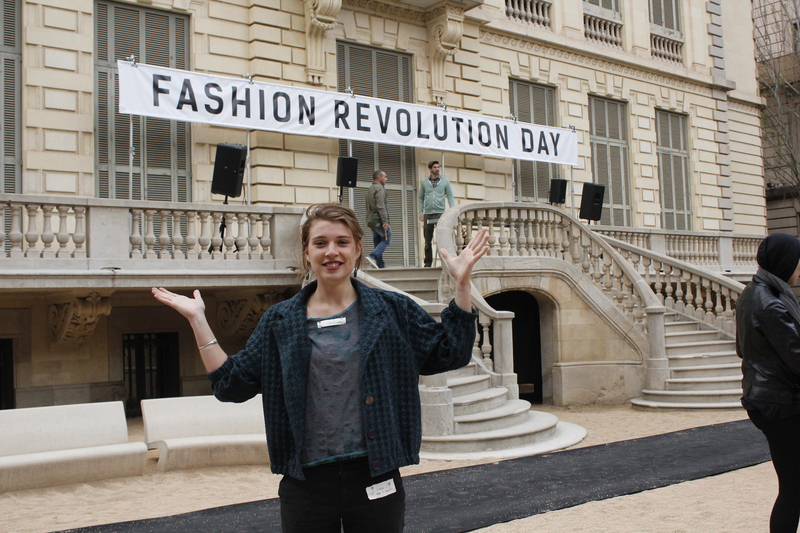 How did you participate in the fashion revolution day??? 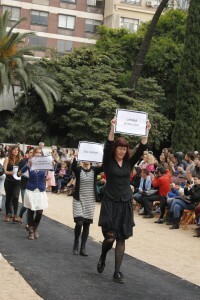 Please share and comment here!